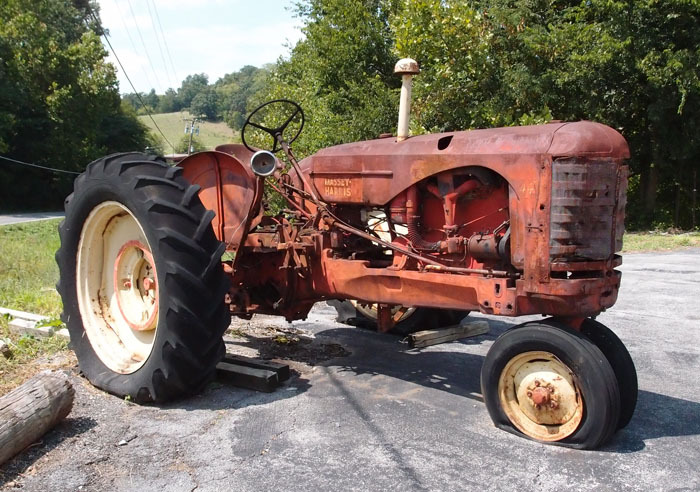 This is a Canadian Massey-Harris tractor, a 44, probably from around 1951. The company was in business from 1891 to 1953 or so. This was sitting in the sunlight at the intersection of Cedar Creek Road and Allens Bridge Road in Greene County TN. 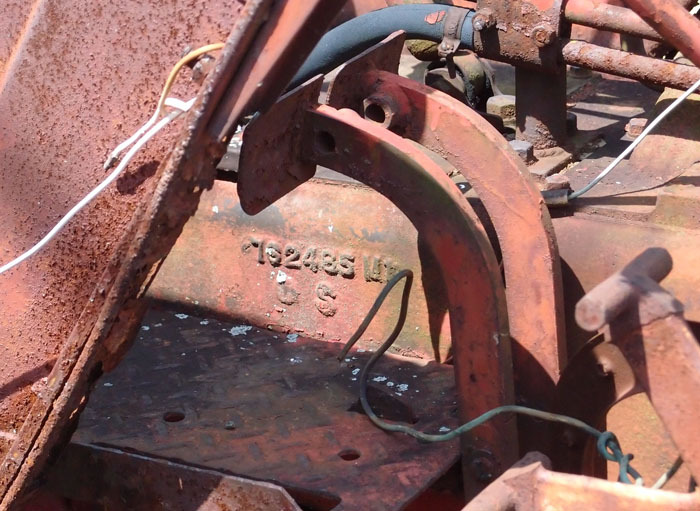 Here’s the serial number. I think it’s 762485 M.